You will be thrilled with the different things to do in Tahiti that are perfect for families, couples and singles who are seeking adventure. You can choose a splendid day on a Segway as you cruise the street of Papeete or venture to such fabulous places as Bougainville Park and the Black Pearl Museum. You can take an informative excursion that will lead you through the streets of Papeete to the Municipal Market and the Waterfornt Esplanade. You can explore the underwater world of shipwrecks while scuba diving and swim with black tip reef sharks while you snorkel. If you like to hike then go to Cascades of Farrumai or you can visit the Water Gardens of Vaipahi. Other natural attractions include the Arahoho Blowhole where there is a nearby black sand beach and the beautiful white sand Punaauia Beach is perfect place to relax. When you are ready to set out on adventure and explore the island, then the best thing to do in Tahiti is to take jeep safari tour. Your 8-hour adventure begins with complimentary hotel pickup service where you will meet your expert guide who will inform you throughout the day of the interesting places you will visit. You will travel the jungle backroads with your first stop being the summit of Mount Marau where you will visit a 19th century French fortress and be afforded incredible views of the Punaruu Valley. Your excursion continues to the Arahoho Blowhole where you will watch an amazing geologic feature that is similar to a powerful geyser. 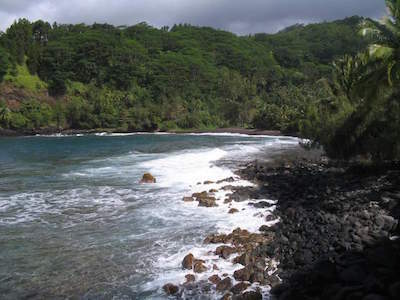 After you walk on the nearby black sand beach you will travel to the Faaurumai Valley. You will drive through the valley until you arrive at the Cascades of Farrumai where you will take a short five minute walk to Vaimahutu Falls which tumbles 100-feet into a pool of crystal clear water. You will continue hiking until you reach the cascading waters at Haamaremare Iti and Haamaremare Rahi. After you enjoy a refreshing swim in the cool waters you will be driven back to your selected hotel. When you want to see the most interesting sites in an atmosphere that is family-friendly as well as great for couples, then a superb thing to do in Tahiti is an island tour. Your 5-hour excursion begins with complimentary pickup service from your hotel where you will ride in a comfortable coach to the various places of interests. As you drive your guide will give you interesting commentary on the places you visit which will enhance your knowledge of the natural and cultural history of Tahiti. Your first stop will at Marae Arahurahu which is a religious site reserved for the ancient gods. Then you will be given plenty of time to stroll through the lush Water Gardens at Vaipahi which feature pond of water lilies and the natural beauty of the landscape. You will then drive to visit a black sand beach at Matavai Bay where you will view Point Venus. From here you will go to the Arahoho Blowhole and watch an incredible geyser show. Your last site will be at Taharaa View Point where you will be amazed at the fantastic panoramic views of the island. Your excursion concludes with drop-off service at your selected hotel. If you want to view incredible marine life swim in their natural habitat, then the ideal thing to do in Tahiti is to take a dolphin and whale watching tour. You will be pleased with the sailing vessels you board which are spacious and boast plenty of area for you to view these magnificent animals. During the winter months you will enjoy superb views of whales as they play, give birth and sometimes even fight in the water. 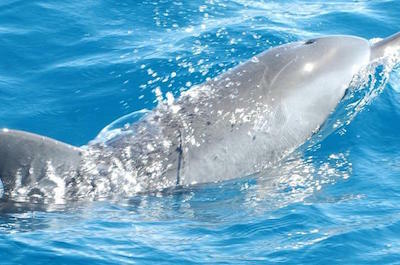 Spinner and bottle-nosed dolphins tend to follow the sailing vessels as you cruise around the island of Tahiti. An added bonus on these excursions are the fantastic vantage points you will have for viewing the lush tropical landscape with its jagged peaks running into the sky that resides on Tahiti. Whether you are with a group, your family or just a loved one these excursions will make lasting memories for you. 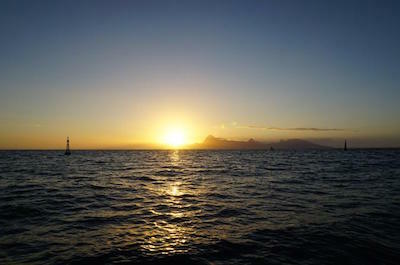 One of the most romantic things to do in Tahiti is to take a stunning and relaxing sunset cruise. Your 1.5-hour excursion on the high seas begins with hotel pickup service where you will be driven to Port of Papeete where you will board a luxury sailing vessel. Once on board you will be welcomed by the captain who will also give you interesting commentary as you sail the coastline. You will indulge in great views of the tropical shoreline of Tahiti as well as the island of Moorea. You can enjoy a complimentary cocktail while sit on comfortable seats viewing the incredible scenery. Once the sun starts to set on the horizon you will be treated to superb canvass of pastel colors in the sky. As you begin your sail back to port you will have incredible opportunities to view the thousands of stars that appear in the black sky, which is a great thing to do in Tahiti when the sky is clear. Your excursion concludes with drop-off service at your Papeete hotel. 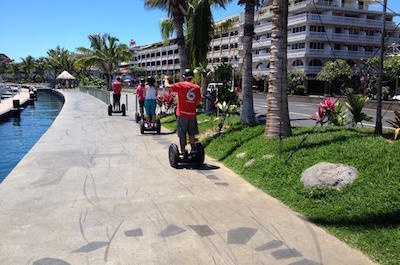 When you want to explore as many sites as possible in Papeete, the best thing to do in Tahiti is to take you and your family on a Segway tour. These excursions are fascinating and packed with history and culture as you glide through the street of Papeete on your own Segway. If you are a beginner you can learn to navigate a Segway before setting out on a longer tour which may last 90-minutes to 2.5-hours. You will visit sites like the Waterfront Esplanade, the Municipal Market, Bougainville Park, To'ota Square and the Presidential Palace. Other exciting stops might include the Cathedral de L'Imaculee (Cathedral of Notre Dame), Vai'ete Square and Vaima Shopping Centre. Segway tour is also a perfect thing to do in Tahiti at night, which will put you right in the middle of a carnival style atmosphere with live music and delicious cuisine. One of the more popular things to do in Tahiti as you drive the coastal road is to stop at the Arahoho Blowhole. Located on the eastern shoreline of the island near Tiarei at PK 22, the Arahoho Blowhole is a spectacular show of water spraying into the air. The Arahoho Blowhole was created from a collapsed lava tube that was eventually carved out by the crashing waves. As the waves hit the shoreline the blowhole becomes a majestic geyser of water shooting into the air some 50-feet. There is a viewing platform for your convenience but don't expect to stay dry while watching this wonderful natural phenomenon. You can relax on a nearby black sand beach that is complete with palm trees for a picnic while you watch surfers carve bigger waves just offshore. One of the best open-air markets in the French Polynesian is the Marche de Pape'ete and is a great thing to do in Tahiti with your family. 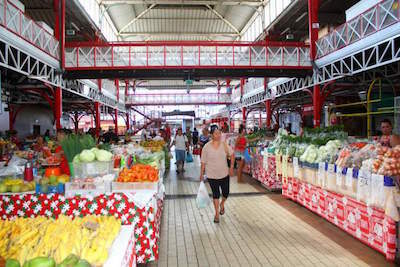 Located in the center of Papeete along Francois Cardella Colette Streets, the Marche de Papeete is a fabulous place of arts and crafts, local foods as well as entertaining artists. Vendors will arrive at the market from all around the south Pacific and French Polynesian Islands to sell their traditional works and local fruits as well as fish. If you are looking for inexpensive souvenirs you can choose from brightly colored sarongs to hats to baskets to t-shirts. You can indulge in a number of first rate food stands that feature local dishes from fresh fruit salads to deliciously prepared fish dishes. You can also visit several other sites nearby like the Waterfront Esplanade, Black Pearl Museum and the Cathedral de L'Imaculee. Visiting the Water Gardens of Vaipahi are an ideal thing to do in Tahiti for couples, families and single travelers who are searching for a relaxing place to view incredible as well as take a short nature hike. Located along the west coastline near Mataiea just 30-miles south of Papeete, the Water Gardens of Vaipahi is situated within 2.5-acres of the Vaipahi Valley and includes Lake Vaihiria which is the only freshwater lake on Tahiti. 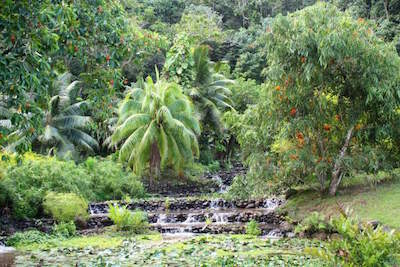 The Water Gardens of Vaipahi features 75 incredible plant species from imported to endemic to native. There are fantastic waterfalls and several springs which enhance the beauty of the gardens. The gardens contain such fascinating plants as lotuses, water lilies and even a lori lori shrub from Myanmar. Another bonus of visiting the Water Gardens of Vaipahi is the 3-miles of hiking trails that are ideal for all skill levels of trekkers. You can hike across the Vaipahi River, view a 100-year old mape tree and go from wetlands to a pine-forested upland along the trails. There is a nice picnic area as well as restrooms for comfort. If you like stunning architecture with numerous features, then the perfect thing to do in Tahiti is to visit the Papeete Town Hall also known as the Mairie Papeete. 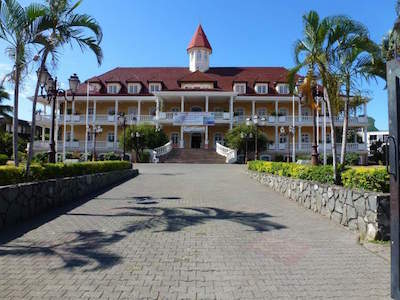 Located in the capital city of Papeete, the Papeete Town Hall is situated on Rue Pau Guagin and was constructed in1990 as a replica to the old Queen's Palace which occupied the space in previous years. The building is beautiful with a wrap-around verandah which features views of the gorgeous manicured tropical gardens as well as a sparkling pond. Inside you will find historical artifacts, crystal chandeliers and pink Italian marble as well as sculptured glass. The building houses the mayor's office and the municipal staff which is in charge of making Papeete a clean and more inviting place to live as well as visit. If you and your family like history and astronomy, then the best thing to so in Tahiti is to stop at Point Venus. Located 6-miles east Papeete along the northern coastline of the island, Point Venus is situated on the northeast end of Matavai Bay. Point Venus has an interesting history that involves Captain Cook's first voyage with the Endeavour in 1769. Cook anchored in Matavai Bay and created Fort Venus in order to view the planet Venus from an optimal vantage point. The black sand beach has since become a popular spot and there is a meandering river which splits the peninsula in two. In 1868 there was a white lighthouse constructed on the point where you can have a picnic. Facilities at Point Venus include a souvenir shop, snack bar and there are restrooms. 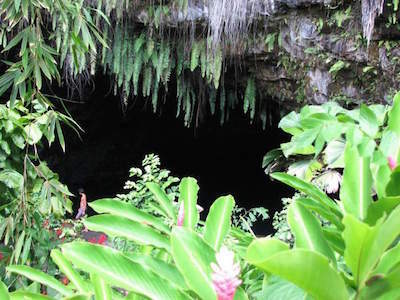 If you like to explore grottos and caves with a lush tropical landscape, then a perfect thing to do in Tahiti is to visit the Maraa Grotto. Located on the southwest coastline of the island at PK 28.5, the Maraa Grotto is a great place to unwind, view a waterfall and swim in the grotto. Maraa Grotto is a unique geologic formation on Tahiti and offers a superb tropical environment that is complete with ferns dripping water, a nice swimming hole and a great place for a picnic. Once you reach the parking area the Marra Grotto is quick walk to the first smaller cave which is Maraa Grotto. Here you will have views of a small waterfall and the mouth of the fern draped cave. If you decide to swim you can continue to a second cave via the water which is slightly larger and called Paroa Cave. There are not many facilities here except a restroom so bring what you need for the day. If you are searching for a beautiful white sand beach that offers plenty of opportunities for watersports and lounging, then the best thing to do in Tahiti is to visit Punaauia Beach. Located along the western shoreline of the island just 4-miles from Papeete, Punaauia Beach is situated along a lagoon and offers spectacular views of the island of Moorea. The white sand beach is perfect for lounging and many watersport activities from swimming to snorkeling to standup paddleboarding in the lagoon. Snorkeling is especially good here with nice coral reefs with black tip reef sharks, clownfish and spotted eagle rays. The beach offers picturesque sunsets where the skies turn into a colorful canvas of pastel colors and in the winter you can watch the migrating humpback whales. 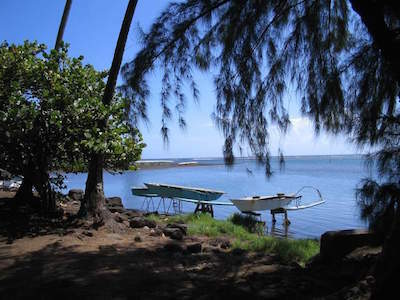 The Punaauia Beach is generally quiet on the weekdays and very busy on weekends with locals. This is perfect thing to do in Tahiti for families who like to mingle with the islands inhabitants. There are facilities such as picnic tables, a grassy area, showers and restrooms. There is a snack shack as well as arts and crafts for sale. If you forget your picnic you can try a bite to eat at Casa Bianca for pizza or something quick at the Poulotte le Paradis. If you want to eat and dine like a real local while watching interesting entertainment, then the best thing to do in Tahiti is to visit Vai'ete Square. Located in the heart of Papeete along the Waterfront Esplanade and Boulevard Pomare, the Vai'ete Square is perfectly situated in front of the cruise ship pier and the Tahiti's tourism office. Vai'ete Square springs to life when cruise ships port with a number of vendors selling local craftworks. There is usually live music that includes traditional Tahitian style performers. In the evening you can indulge in a variety of cuisine that is prepared by some 30 food truck vendors or Les Roulottes along square serving everything from Polynesian to Italian to French to Asian dishes. Also in the evening the square has a lively carnival party style atmosphere. One of the more interesting things to do in Tahiti for you and your family is to visit the Black Pearl Museum where you can view some of the finest black pearls to be found on the planet. Located in the capital city of Papeete along the Boulevard Pomare, the Black Pearl Museum was established by artist Robert Wan and houses the world's finest collection of pearls. The museum highlights every aspect of pearls from cultivation to harvest to art to history to literature. The Black Pearl Museum reveals the mysterious relevance of this beautiful item that is used in religious rites as well as status symbols. You can view the biggest black pearl ever found and see photographs of such spectacular jewelry as the necklace that Mary the Queen of Scots wore. You can include this museum with a visit to nearby Bougainville Park and the Waterfront Esplanade. If you are searching for a cultural experience and want to mingle with locals, then an ideal thing to do in Tahiti is visit To'ota Square also known as Place To'ota. Located in Papeete, To'ota Square is an open air amphitheater which hosts many cultural events from concerts to festivals. To'ota Square hosts the annual Hevia Festival which is a 17-day celebration in July that is reminiscent of Carnival. The Hevia Festival brings together numerous Tahitian dance schools for a competition that includes traditional dance and music. To'ota Square has space for many thousands of patrons that come from many of the surrounding islands. The square is home to several inexpensive dining choices, tikis and numerous Polynesian religious statues are scattered around. You can walk along the waterfront and visit the Tahiti Cultural Center as well as the main library in the same day. One of the more popular things to do in Tahiti for people who like to explore the underwater world is to go snorkeling and scuba diving. Scuba divers will be thrilled with one or two-tank dives in places like the Aquarium which features airplane as well as shipwrecks and is ideal for beginners, the Marado is perfect for a wall dive where you will spot black tip sharks and the Wrecks as well as La Zelee are wonderful shipwreck dives for more advanced scuba divers. Snorkelers can find numerous coral reefs such as that are teeming with brightly colored tropical fish as well as stingrays and black tip shark. During the winter months snorkelers can swim with humpback whales along with sea turtles and there are plenty of dolphins that swim in the waters around Tahiti. Whether you are an experienced underwater world explorer or novice there is a perfect thing to do in Tahiti on water. When you want to view the spectacular fauna and flora that exists on all five of the surrounding archipelagos, then the best thing to do in Tahiti is to visit the Paofai Gardens. 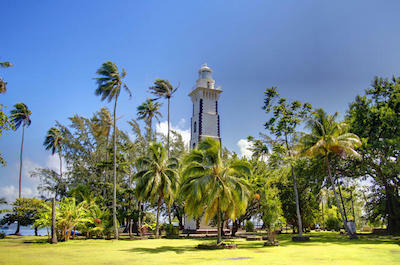 Located in Papeete along the western coastline of the island, the Paofai Gardens are situated on 12-acres and features plants as well as trees from all five of the archipelagos. As you walk the paved walkways you will be delighted with the 324 coconut trees, 30 flowering trees and the 40 royal palms that sway gently in the wind. There are a variety of medicinal and endemic plants as well as various fruit trees from banana to breadfruit. Each archipelago represented with a special plant such as cabbage palm from Raiatea, beach gardenia from Tuamotus, vanilla from the Windward Islands, sea lemon from the Gambiar Islands and a lantern tree from the Marquesas. The Paifai Gardens are a relaxing thing to do in Tahiti and a great place to have a picnic within the city. If you are searching for a positive cultural thing to do in Tahiti that allows you to learn the history of the Tahiti at your pace, then you need to visit the Museum of Tahiti and Her Island. Located in Puna'auai along the western coastline of the island, the Museum of Tahiti and Her Island has four distinct sections to help you understand the history and culture of Tahiti. You will view interactive exhibits that explain the geography and natural history, pre-European culture, the effects of colonization and the natural wonders of Tahiti. Exhibits explain the how Tahiti was formed as an island by volcanoes and explains its superb tropical landscape as well as the wildlife that is native to the island. From here you will learn about the native Tahitian people that occupied the island until the first European explorers arrived in 1767 as well as the effects of colonization like plantations, slavery and the missionaries. The museum takes about one to two hours to walk through depending on how much time you spend in each section or you can decide to take a guided tour. When you want to browse for souvenirs to take home from your Tahiti vacation, then the best thing to do in Tahiti is to stop and walk through the Vaima Shopping Centre. Located in Papeete just near the Cathedral de L'Immaculee (Notre Dame Cathedral), the Vaima Shopping Centre is situated on Rue du Marechal Foch. This multi-level complex contains 37 unique shopping venues that range from Bose to Nike to Billabong. Other shopping such at Rai Tahitian Wear and Reva Creations for clothing or you can browse for pearl jewelry at Vaima Perles as well as Patrick Guitard. If you want to watch a movie then Cinema Concorde is ideal and you can purchase unique artworks from local artists at Ganesha Art du Pacifique. There are a number of restaurants within the complex where you can refresh yourself like the Banana Grill, Moriison's Café and Le Mango. No matter what type of thing to do in Tahiti you are looking for from shopping to dining to watching a movie, the Vaima Shopping Centre has it all. If and are looking for a spectacular show of cascading water that does not involve a long hike, then the Faarumai Waterfalls are superb for you to visit, Located on the northern coast of the island 30-minutes from Papeete, the Faarumai Waterfalls are situated just outside of the village of Tiarei where the road winds around a black sand beach. Once you reach the parking lot you will need to walk 5-minutes to the base of the first waterfall which is Vaima Hutu which tumbles down some 100-feet from the top into a nice pool of water. There are two other waterfalls which are Haamaremare and Haamaremare Iti which are a 30-minute hike away on a well-defined trail which offer spectacular views of cascading water into clear blue pools below. Although, you are not to swim at any of the three waterfalls many people still do. If you are interested in combining the Faarumai Waterfalls with another adventure you can include a stop at the Arahoho Blowhole which is very close. If you like getting out into nature and hiking to splendid waterfalls, then an ideal thing to do in Tahiti is to trek to Fautaua Waterfall. Located west of Papeete, the Fautaua Waterfall is situated in the Fautaua Valley and cascades downward 985-feet into a quiet pool of sparkling water. 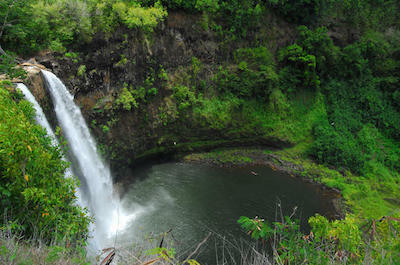 The base and the top of Fautaua Waterfall can be accessed by two separate hiking trails that begin in the same place with each trail being roughly 5-miles roundtrip. The trail is well defined and gradual for the first hour until you reach the bridge that crosses over Fachoda River. After the bridge the trail becomes steeper and another hour of hiking you will be rewarded with a great view of the Fautaua Waterfall. From here you continue uphill for 20-minutes with the help of ropes until you reach the 19th century Fachoda Fort. Continue for 10-minutes on the trail and you will be cooling off in one of the two natural basins that are connected by a natural waterslide of rock. After you take a dip in the refreshing water you can take the same trail on your return route. If you like learning about history while you travel, then a perfect thing to do in Tahiti is to visit the Tomb of King Pomare V. Located 2.5-miles north of Papeete at Arue, the tomb of King Pomare V is situated on a point along the northwestern coastline of the island. King Pomare V ruled Tahiti from 1877 until 1880 and he was the last monarch to rule Tahiti. In 1880 King Pomare V gave Tahiti as well as its neighboring islands to France in return for a state pension from France and died in 1891. The Tomb of King Pomare V is constructed in the shape of a lighthouse with an urn shaped object on the top and is built of coral stones. The tomb was originally built for Queen Pomare IV his mother but before his death, he had her remains removed and he was placed inside the tomb upon his death. You can also visit a nearby cemetery which contains the grave of Pomare I thru IV. One of the more relaxing things to do in Tahiti for you and your family is go for a stroll along Waterfront Esplanade. 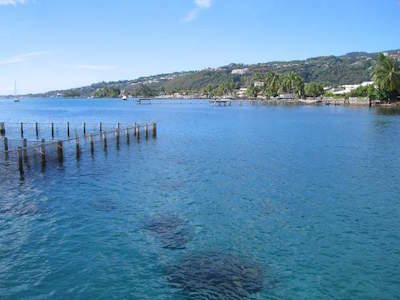 Located in the capital city of Papeete, the Waterfront Esplanade will remind you of visiting the French Rivera. The Waterfront Esplanade runs from To'ota Square to Vai'ete Square and you will have superb views of neighboring Moorea Island as well as the numerous sail boats. Along the Waterfront Esplanade you will find a variety of vendors selling everything from local foods to popcorn to French pastries. If you start at the Vai'ete Square area you will be delighted with the numerous food truck boasting local dishes as well as the late night party atmosphere. The To'ota Square area sports a wonderful cultural scene where you can watch concerts and other performances within the amphitheater type square. If you are interested in outstanding historic architecture, then the best thing to do in Tahiti is to visit the Cathedrale de L'Immaculee also known as the Cathedrale de Notre Dame. Located in the capital city of Papeete, the Cathedrale de L'Immaculee is situated along Rue General de Gaulle and is the oldest Catholic Church in Tahiti. The church was constructed with a Gothic-style in the 19th century and opened to the public in 1875. The Cathedrale de L'Immaculee features a bright yellow façade with a stunning red steeple. The interior of Cathedrale de L'Immaculee is combination of European and Polynesian influence which contains incredible work by artisans. There is a life-size woodcarving of Madonna and Child with the child holding a breadfruit which was created on the Marquesas Islands. The Stations of the Cross was produced by Yuel Durnad and St. Fond and features Tahitian as well as Roman culture in clothing with an artistic style that was influenced by Paul Gauguin. When you want to engulf yourself in a wonderful landscape within an urban city, then the ideal thing to do in Tahiti is to stroll through Bougainville Park. Located along Rue General de Gaulle, the Bougainville Park is situated within 1.5-acres of spectacular flora and fauna of Tahiti. The park's centerpiece is a beautiful statue of the French admiral and explorer Louis Antoine de Bougainville. The park has several features including a small stream that brings the beauty of Polynesian nature and culture to the forefront. There are several pools of water lilies, bamboo, opuhi flowers, mango trees and a sparkling spring. During the year the park exhibits several different art and cultural events which is often highlighted by concerts in the Fare Pote'e. This is truly an urban oasis that is a must thing to do in Tahiti.